For the launch of the first gold mine in Serbia in Zagubica investor Avala Resources needs 177 million dollars. It is an economic assessment which did an independent company AMEC from Perth in Australia for the Project of gold “Timok”. The company “Avala resources”, which dealt with the geological surveys, told us that the ore would be got by surface excavation. Studies have shown that there is more than 70 tons of gold, and if an investor be found, two and a half tons of gold will be got in concentrate per year, 250 workers will be employed, and the state of Serbia will have profit of 38 million dollars from the ore rent. – The aim is to show that the project is potentially cost-effective – said the director of “Avala” Sean Hasson. After obtaining all permits, it will be needed two years of investment in infrastructure. Research manager Justin van der Torn, says that his company has invested 160 million dollars in research works since 2010th. 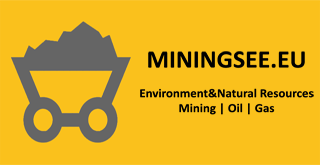 – Serbia currently has the best climate in the region for investment in the development of mining projects, so we encourage the efforts of the Serbian government to implement a policy of openness to new investments. We are especially grateful to the municipality of Zagubica which has provided tremendous support to our project – said van der Torn. President of the Municipality Zagubica Safet Pavlovic hopes to come to the opening of a gold mine and that it will regenerate Homolje. – If a gold mine is opened, it will stop the exodus of young people and the whole Homolje will benefit – evaluates Pavlovic.